Did you always love to run even before you became a parent? Would you like to still be able to run while taking care of your little one at the same time? I certainly did. That is why I have been obsessive in finding the best of the best jogging strollers on the market today. There is a plethora of strollers to choose from. 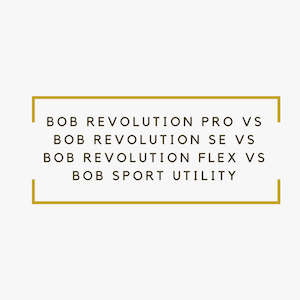 But here, I am going to focus on to the two of the most popular, most loved, and most raved about jogging strollers that you can get for under $400. 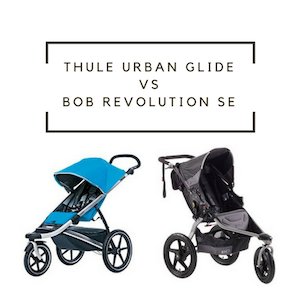 These are the Thule Urban Glide and the Bob Revolution SE. Both of which are great jogging strollers but only one can be called the winner. Before I reveal my favorite, let us first take a closer look at what each has to offer.